I haven’t posted a cocktail recipe since the summer. But lately, I’ve been making more cocktails, especially seasonally inspired ones. 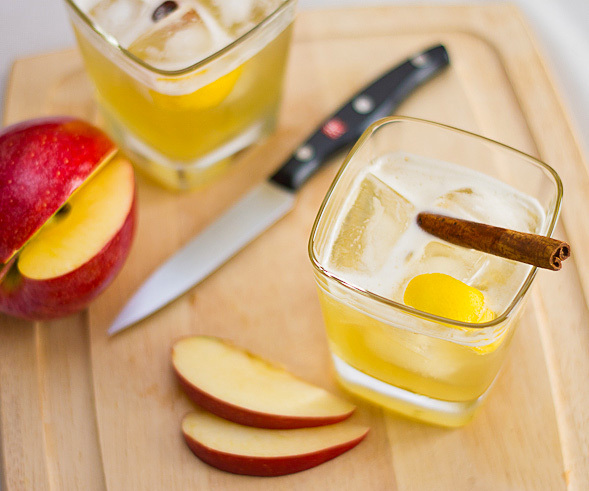 Our latest favorite has been this delicious apple Bourbon concoction. We adapted the recipe for this fall drink from our friends at Julibox, who launched a brilliant online business selling monthly cocktail ingredient kits, similar to our side business GrubKit. 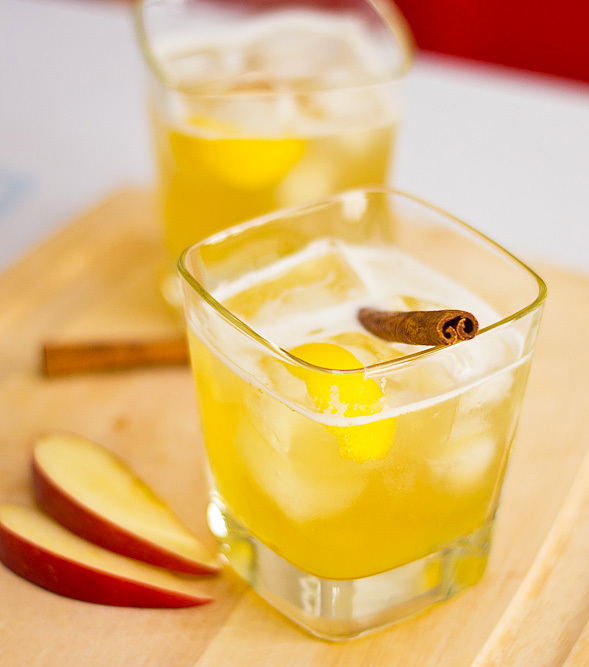 This drink is perfect during your Thanksgiving festivities. Enjoy and have a wonderful holiday! Although I put the cinnamon stick as optional, I strongly recommend to add one to your drink. It provides a wonderful aroma as you take each sip and it’s a nice decorative touch this time of year. Ginger syrup is a great addition to cocktails because of its peppery sweet flavor (post on homemade ginger syrup coming soon). 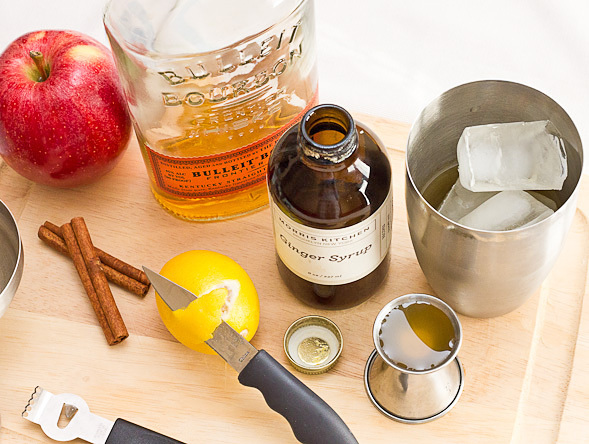 As for the bourbon, I like using Bulleit. 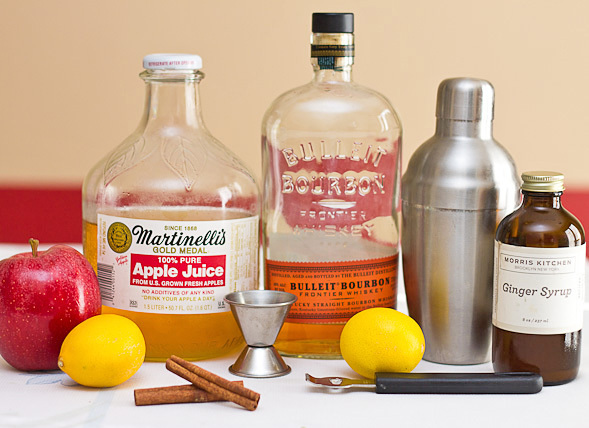 It’s a great bourbon on its own, but I absolutely love it in mixed drinks. 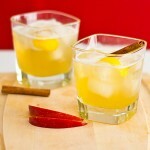 In a cocktail shaker, combine apple juice, lemon juice, ginger syrup and ice and shake. 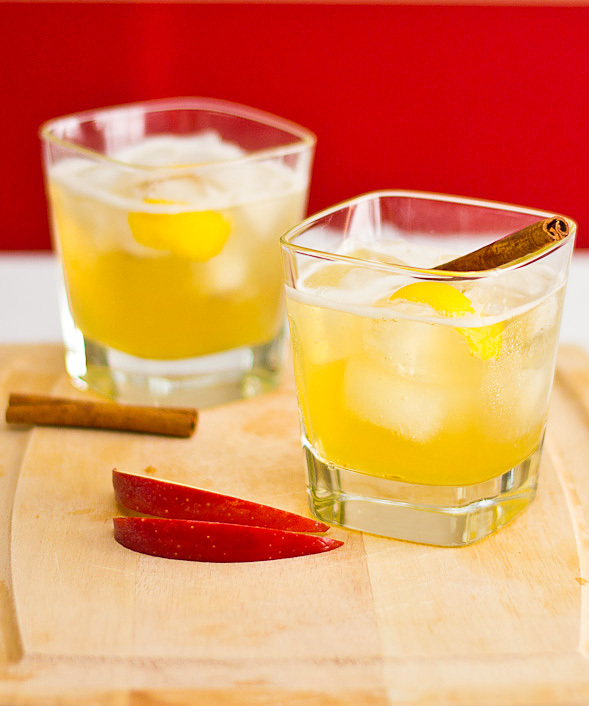 Pour mixture in glasses over ice and garnish with lemon peel and cinnamon stick. Oh this is soooo refreshing! 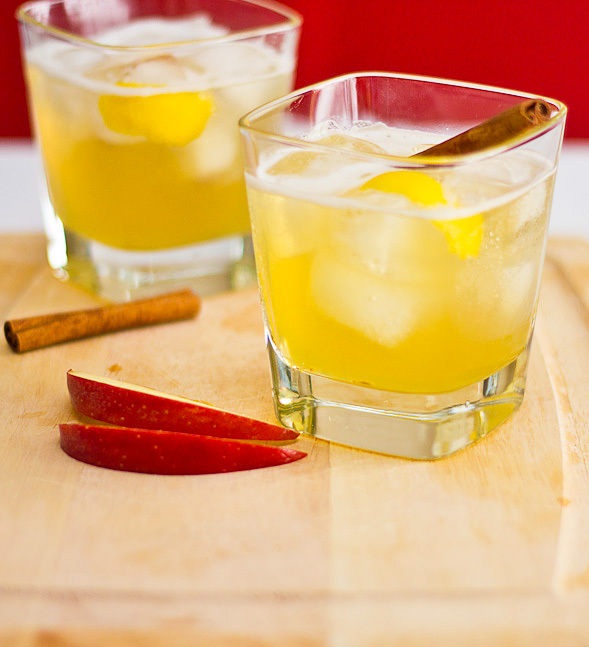 Great drink for fall and the holidays. Thanks for sharing. Happy Thanksgiving, Barb & Max! Grateful for your friendship! Thank you, Betty Ann! We’re grateful for yours too 🙂 Have a wonderful Thanksgiving with your family. Regards to Elpi from me and Max. I’m definitely making this one for Super Bowl night!!! It sounds soooo good! Thanks.